About: The full form of SLIET is Sant Longowal Institute Of Engineering And Technology. SLIET received Deemed University status in 2007. It is located in Longowal, Sangrur, Punjab. It was established by Government of India and was set up in 1989 under Rajiv Gandhi - Longowal accord with an aim to fulfill the cherished dreams of late Sant Harchand Singh Longowal. It runs various UG and PG courses with its own academic pattern being approved and recognized by AICTE. Institute: It is an autonomous body, fully funded by the Ministry of Human Resource and Development (MHRD), Govt. Of India, and controlled by SLIET society. It is registered under the Societies Registration Act, 1860. It is committed to provide the best possible technical education and to cater to the technical manpower requirements with an emphasis on practical training in the industry. Conducting Authority: The Sant Longowal Institute of Engineering & Technology-Guna (SLIET) conducts the SLIET Entrance Test which is a university-level annual test to seek admissions into various programmes. Courses Offered: Admissions are offered for major programmes in various streams of Engineering, Technology, Sciences, Humanities, and Management. It conducts various Certificate, Diploma, Degree, PG, and Ph.D. level programmes. Each semester span is for about eighteen weeks which excludes semester examinations. The academic study schemes are balanced at each level with various co-curricular activities. Features: Special lectures/invited talks by eminent personalities on the varied topic of academic relevance are organized at the department level. To motivate and encourage the students, a counselling system is also in-place which involves various faculty members. They act as the chief counselor and class counselors. It provides technical education in many emerging domains of Engineering & Technology. The educational programmes of this institute are non-conventional, innovative, practical oriented and contain all aspects of new education policy (1986) of Govt. of India. Evaluation: Students are evaluated continually throughout the semester by the course coordinators. The medium of instruction is English for all the courses run by the Institute. Admit Card for SLIET 2019 will be available on 25th May 2019 on its official website. Get more information about important dates in SLIET 2019 Important Dates section. According to SLIET 2019 Eligibility Criteria, the aspirants applying for the UG programmes must have completed 10/10+2 with a minimum score of 55% for general category, and 50% score for reserved categories. For the diploma courses, a minimum score of 50% for general category and 45% for reserved categories is necessary. For PG courses, a minimum score of 60% for general category and 55% for reserved category and having a valid UG degree from a recognized institute is a must. There is no age limit to appear for the SLIET 2019 examination. Get more information about eligibility criteria at SLIET 2019 Eligibility Criteria section. After having successfully submitted the SLIET Application form, the candidates can download the SLIET 2019 Admit Card, after its release on 25th May 2019, from the official website. There will be mention of important details of the candidate on the admit card such as the applicant's name, registration number, date of examination, exam centre and time, etc. Learn more about hall ticket in SLIET 2019 Admit Card section. The SLIET 2019 consists of MCQs (Multiple Choice Questions) for 150 marks. The medium of the paper will be in Hindi, English, and Punjabi. But for physics, chemistry and mathematics subjects the language will be in English. The time duration of the SLIET 2019 exam is 2 hours and 30 minutes. The candidates will be rewarded 1 mark for every correct answer and a deduction of 0.25 marks for every wrong answer. To know more about exam paper pattern visit SLIET 2019 Exam Pattern section. SLIET 2019 Syllabus is different for each subject depending upon the courses in which a candidate is applying for. The overall subjects include Physics, Chemistry, Mathematics, General Knowledge, English and other core related topics depending on the chosen subject paper. Get more information about syllabus in SLIET 2019 Syllabus section. The SLIET 2019 Results will be announced on the official website from 19th June 2019. The results can be downloaded by the candidates from the official website by entering the application number and date of birth. Important credentials such as application number, Date of birth, and password should be used to log in the official website and view the SLIET 2019 results. Get more information about results in SLIET 2019 Results section. SLIET 2019 Counselling is most likely to be conducted on 12th June 2019. Candidates who are shortlisted will be receiving call letter via post to attend the SLIET 2019 Counselling sessions. The allocation of the seats depends on the scores obtained by the aspirants. Get more information about counselling in SLIET 2019 Counselling section. Q: What is SLIET 2019? SLIET stands for Sant Longowal Institute Of Engineering And Technology. It is an entry-level exam for candidates who wish to take admission to the various courses offered by SLIET. Q: Where is SLIET located? Sant Longowal Institute Of Engineering And Technology is located in the Sangrur district of Punjab. Q: When will the SLIET 2019 Application Form be made available? The application form will be released online on 5th March 2019. Q: Who can apply for SLIET 2019? For the undergraduate courses, students who have passed 10+2 with a minimum of 55% marks can apply. To gain admission to a diploma course the candidate must have secured minimum marks of 50%. In case of admission to a PG course, the minimum requirement of marks is 60% aggregate. However, there is a relaxation of 5% marks in case of SC/ST category candidates if they are willing to seek admission to any of the above-mentioned courses. Q: Is there any age limit to apply for SLIET 2019? There is no age limit specified under the SLIET 2019 Eligibility Criteria. Q: What is the SLIET 2019 Exam duration? The duration of this exam is set to be 2.5 hours. Q: Is the question paper Objective type or Subjective type? The SLIET 2019 question paper will contain Multiple Choice Questions and the entire paper carries 150 marks in total. Q: What is the SLIET 2019 Exam pattern? The SLIET 2019 question paper will contain questions related to Chemistry, Mathematics, Physics, General Knowledge, English language and from the topics related to the chosen course to which the candidate has applied. Q: When will the SLIET 2019 Results be announced? Results of the SLIET 2019 Examination will be available after 12th June 2019. Q: Which are the best reference books for preparation of SLIET 2019 Exam? Comprehensive Guide to BITSAT, Comprehensive Guide to VITEEE, Advanced Level Physics by Nelkon and Parker, Higher Algebra by Bernard & Child, Algebra Made Easy by K.P. Basu, Higher Secondary Biology- Part I & II, Coordinate Geometry by Dr Gorakh Prasad, Higher Secondary Biology- Part I & II, A Problem Book in Mathematical Analysis by G.N. Berman, Maths XI & XII by R.S. Agarwal, Higher Secondary Biology- Part I & II, Advanced Level Physics by Nelkon and Parker, Advanced Level Physics by Nelkon and Parker, Physical Chemistry by P.Bahadur, Higher Algebra by Hall & Knight, General Chemistry by Ebbing, MP PET Maths chapter-wise solved paper. Application Process: If the candidate is eligible to apply SLIET 2019 they can official website from 5th March 2019. Application Summary: The candidate needs to upload the latest copy of a photograph in passport size as well as the scanned signature and thumb impression. Admit Card Release: The copy of the SLIET Admit Card is available from 25th May 2019 and the candidate needs to be shown at the time of SLIET before the examination begins. SLIET 2019 Exam date: The exam date is mentioned in the admit card and in the official website of SLIET 2019 as 2nd June 2019. Diploma program: To get admissions for integrated diploma course candidates must have Passed Secondary board level from a recognized board to satisfy the eligibility criteria for SLIET 2019. MBA courses: Candidates need to possess a valid scorecard from CAT/GATE/CMAT 2017 exam to satisfy the eligibility criteria for SLIET 2019. B.E Program: Candidates must have a valid SLIET EE scores to satisfy the SLIET 2019 eligibility criteria. ICD course for 2 years: ITI certificate or completed 10+2 post matriculation to met the SLIET 2019 eligibility criteria. They must furnish all results relevant to this at the time of counselling. Online form: Candidates can access the SLIET Online form. And check the official website for notifications. Registration: Open new SLIET 2019 registration and fill in the required details. Needs: Candidates must upload a Passport Size Photograph along with Digital Signature and Thumb Impression. Test centres: Select SLIET 2019 four test centres in order of your preference. SMS: As if you have completed all the process an SMS will be sent including your password to the registered mobile number. Fee: Using the information received in the SMS candidates can log in to pay the application fees. A form of reference: Now take a print out of the SLIET 2019 receipt payment and SLIET form for future reference. Visit the official website: candidates need to visit the official website to register themselves for the exam. Availability of form: Candidates can fill the application form from the date 5th March 2019. Application fee: Application fee is different for different categories. Confirmation: Candidates need to confirm that applied for the exam. Payment mode: Payment can be done either online mode or offline mode. Availability of the admit card: Admit Card for SLIET 2019 will be made available after 25th May 2019. Official website: candidates need to Visit the official website for SLIET 2019. Visit the portal: The portal will be available for admit card downloads. Log on to the page: Candidates need to enter the necessary details. Print and download: The SLIET 2019 admit card will be download and print for future reference. Different courses: For each course, the SLIET 2019 Exam papers will be different. Exam paper: SLIET 2019 exam paper consists of 150 Marks and the time duration of the exam is two and half hours. Objective type: The SLIET 2019 exam is an Objective type (MCQs) so every right answer gets one mark and every wrong answer receives -1/4 mark. Subject-wise marks: Subject-wise distribution of marks for Physics there will be of 50 Questions (50 Marks).For Chemistry, there will be 50 Questions (50 Marks). And for Maths, there will be 50 Questions (50 Marks). Integrated diploma: Syllabus for Integrated diploma course is English comprehension, G.K, and Mental Aptitude, Mathematics, Physics, Chemistry. Diploma course: For Diploma course it includes English, General Knowledge, Aptitude, Mathematics, Physics, Chemistry. B.E courses: For B.E course syllabus included are General Knowledge, English Comprehension, Mental Aptitude, Mathematics, Chemistry, Physics. PhD in Chemistry: PhD syllabus includes Physical Chemistry, Inorganic Chemistry, Organic Chemistry. Visit the official website: The Results for SLIET 2019 will be available on the official website. Enter the details: To access the SLIET 2019 result candidates can use their Roll Number. Use link: Click on the link provided for SLIET 2019 results. Print and download: Print a few copies of the SLIET 2019 results for future reference. Merit list: SLIET 2019 exam merit list will also be prepared and the admissions will be based on merit and results of SLIET 2019. Merit list: Once the merit list is out, the counselling process is started so that selected candidates for counselling will receive an Admit Card via post. Original proof: The candidates must carry a Character Certificate and their original age proof with them during the process of counselling and document verification. Merit admission: The candidates have to obtain the minimum score in the SLIET 2019 entrance test to be eligible for admission which will be based purely on merit. Minimum score: Candidates have to obtain the minimum score in the SLIET 2019 entrance test to be eligible for admission. Merit list is based on a tie in age, so the candidates who are older will be placed higher on the merit list having higher marks in the qualifying exam will be placed. For taking admission in BE 4yr programme you have to give IIT Mains exam and to qualify it. If u want to take admission in 3yr BE programme you have to give lateral entry exam if you have completed your diploma programme from the state government or any other college. This exam is taken by the college itself you have to go on college site sliet.ac.in. Here you have to fill up the form and follow the procedures that are instructed on it. For taking admission eligibility criteria is you should have minimum 55% in diploma course. What is the result announcement date of SLIET 2018? SLIET 2018 Result will be announced on 12th June 2018. What is the maths syllabus for 2-year diploma course in SLIET 2018? To know detailed syllabus, click here. What is the SLIET syllabus for B.E course? Click here to know about SLIET syllabus in details. I want to know about the colleges that accept SLIET score? Only Sant Longowal Institute Of Engineering And Technology(SLIET) accepts SLIET score. How much marks will be deducted for wrong answer? The SLIET 2018 exam is an Objective type (MCQs) so every right answer gets one mark and every wrong answer receives -1/4 mark. Why is the SLIET exam conducted? The SLIET exam is conducted for candidates who intend to get admitted into varied undergraduate and postgraduate courses at the deemed university. Who conducts the SLIET exam? The Sant Longowal Institute Of Engineering And Technology conducts the SLIET entrance tests. Is the SLIET exam a State level exam? No, the SLIET exam is a National level exam. 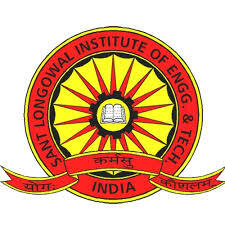 The Sant Longowal Institute Of Engineering And Technology Entrance Test (SLIET) is conducted by the Sant Longowal Institute Of Engineering And Technology. The exam is a university level exam and it is conducted for students who intend to get admitted into the varied undergraduate and postgraduate courses at the deemed university. The main purpose behind setting up this institute has been the provision of education to students in the domains of technology and education. The institute is funded completely by the Indian government. The major programmes offered here are Certificate, Diploma, Degrees, Post-Graduate programmes in management and science and technology. I am an SLIET 2017 aspirant. May I know what all courses are offered by SLIET 2017? Certificate, Diploma, Degrees, Post-Graduate programs in management, science, and technology.